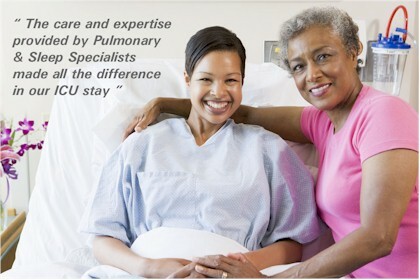 Pulmonary & Sleep Specialists physicians are board certified in critical care medicine. They provide direct care for patients requiring life support and other intensive care needs. Working closely with a multi-disciplinary team, our physicians will provide active participation and/or consultation in the critical care and emergency settings.